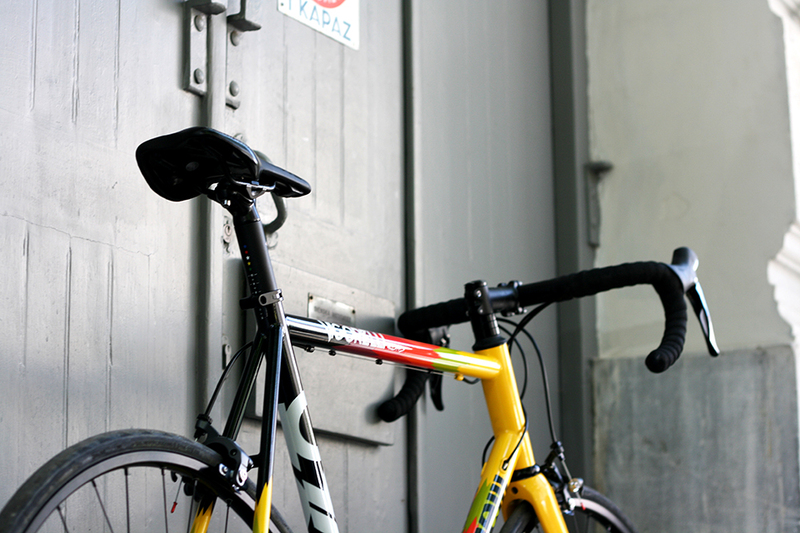 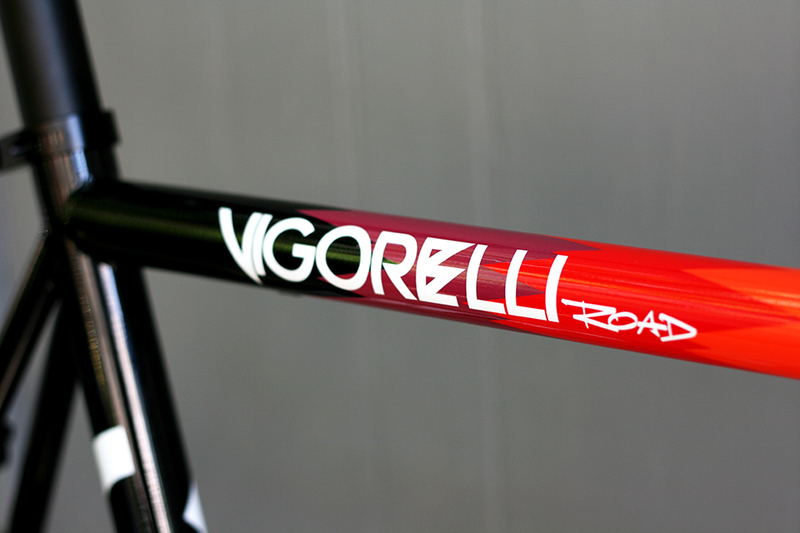 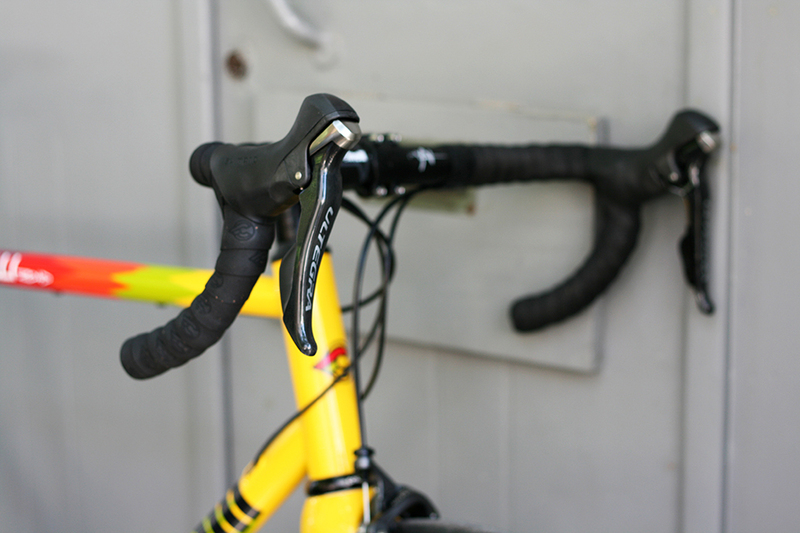 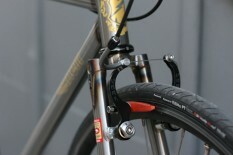 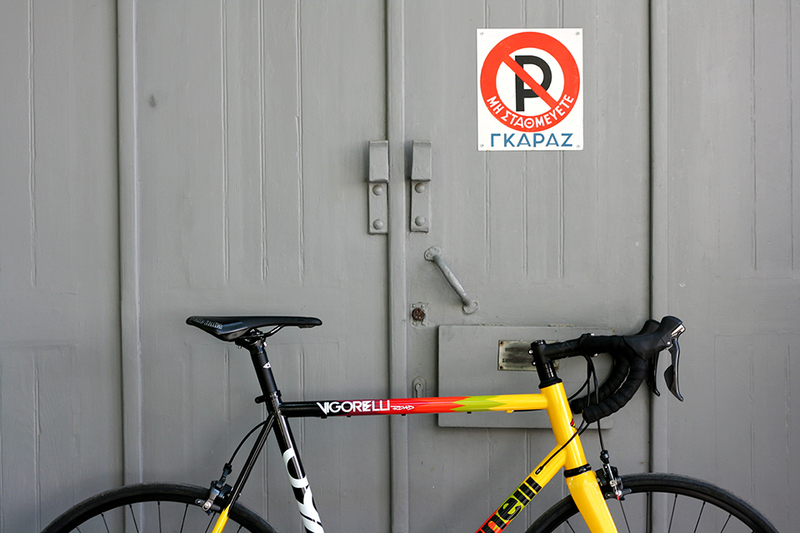 This is the first time Cinelli produces the Vigorelli on a road version and ofcourse it is odd. 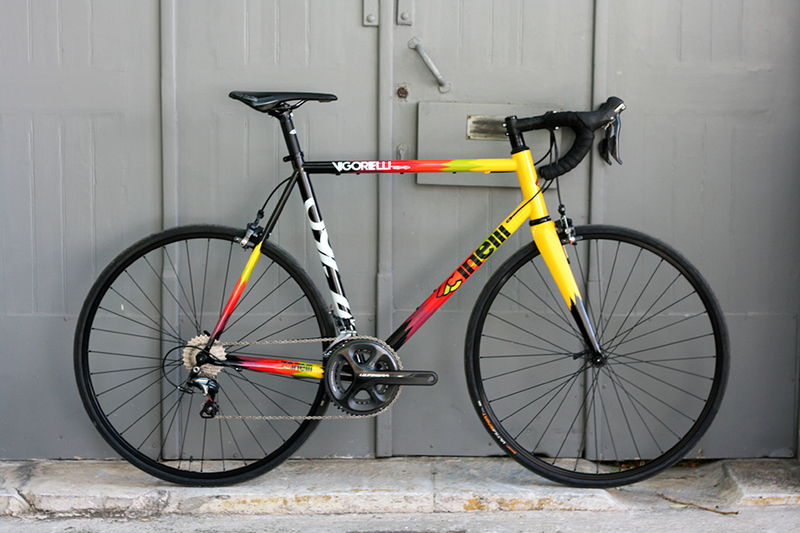 Given the mass popularity of criterium races (fixed or road) this frame is meant to give you a fast, responsive, racy and tight frame for road crits. 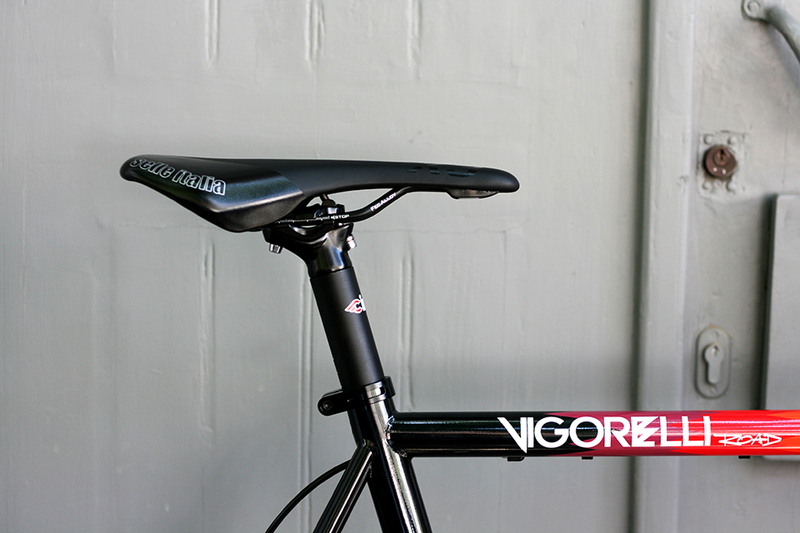 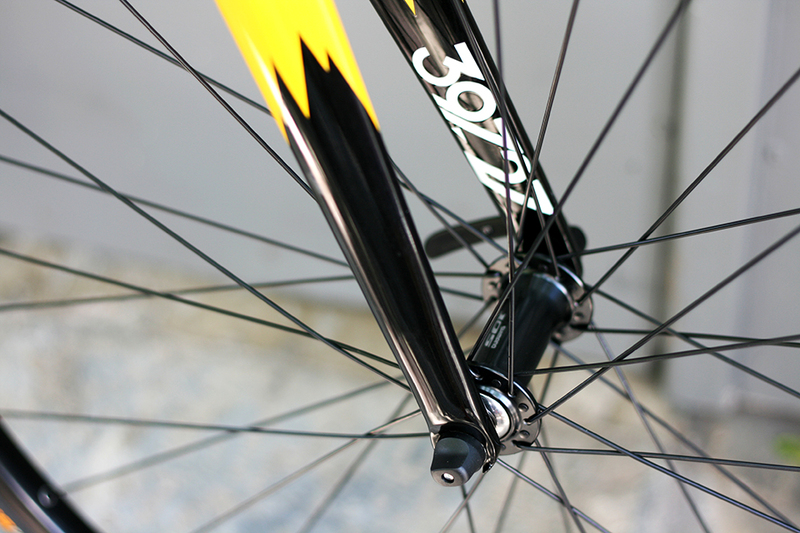 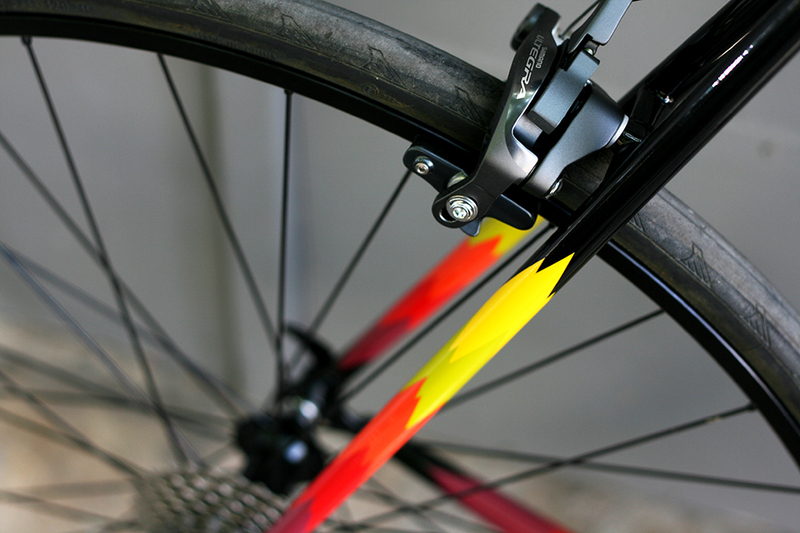 It features a tapered full carbon fork and it basically is the most affordable steel road frame on our catalogue. 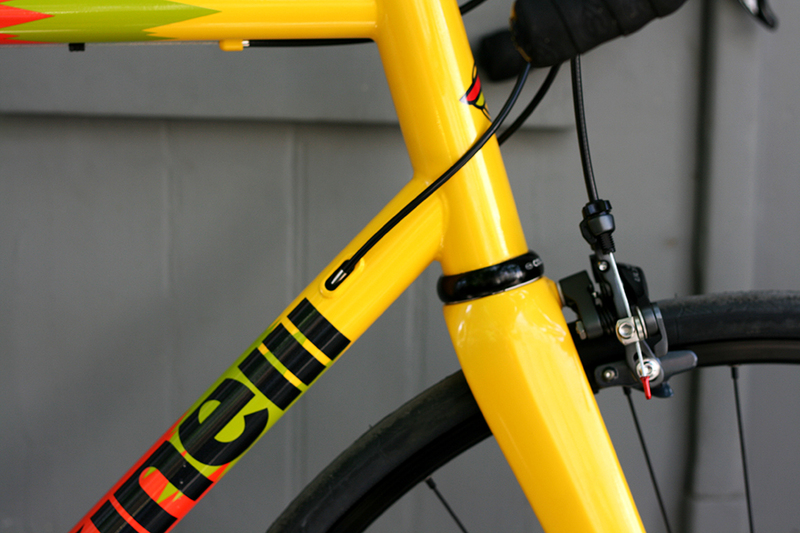 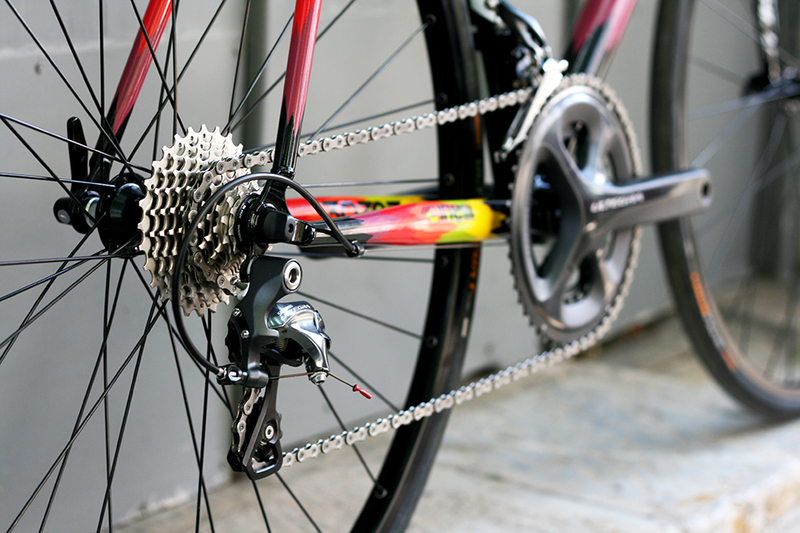 We dressed it up with mostly Cinelli parts and a full Shimano Ultegra groupset but our most favorite detail is the Shimano 105s hubs laced on H Plus Son TB14 low profile box rims. 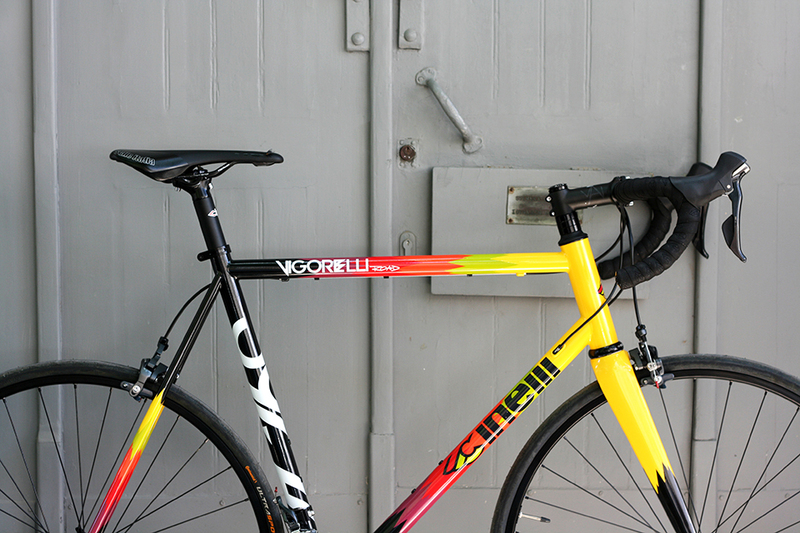 Loving how the low profile blends with the Team Cinelli/Chrome colour way of the frame.